Scottish Post Rock outfit Mogwai mark a hugely prolific twenty years of making music with a compilation that showcases just why they have endured and thrived for so long in what some consider a niche genre. Bands in the Post Rock/Instrumental category often struggle to grow beyond the somewhat narrow expectations of fans of that genre. Any deviation from the Post Rock formula is not generally met with approval, but to Mogwai’s credit, they have always been a couple of steps ahead of the pack and it is for this reason that they are often recognised as such a pioneering act. 2014’s Rave Tapes was a marked evolution in their sound, and also provided them with their biggest selling album to date, a long overdue vindication of their single minded and uncompromising approach to making music. 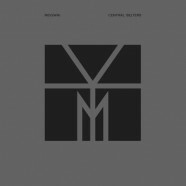 Central Belters is a beautifully packaged three CD digipak (six LP vinyl box-set) containing just under three and a half hours of music. It offers a comprehensive overview of the bands work, plucking songs from their very earliest recordings right through to their last EP ‘ Music Industry 3. Fitness Industry 1’ released in late 2014. It is obvious that a lot of care and attention went into choosing, sequencing, and packaging these tracks; by and large, the very best of their work is represented here – some fans will no doubt focus on what has been omitted, but it is hard to quibble with so much of what is included here. From the ear bleeding assault of early tracks like ‘New Paths To Helicon Pt 1’ and ‘Christmas Steps’ through to the more textured, synthetic feel of ‘I Know You Are But What Am I?’ and ‘2 Rights Make 1 Wrong’ it comes as something of a surprise to hear just how much their sound has changed album by album – we tend to characterise Mogwai as a band that followed the quiet -loud- very loud blueprint that so much Post Rock instrumental music adheres to. But Central Belters demonstrates there is so much more to them than that – slow burners like ‘Take Me Somewhere Nice’ rub shoulders with the glorious build of ‘Auto Rock’ and the monolithic sounding ‘I’m Jim Morrison, I’m Dead’. Discs one and two of the cd set cull the best tracks from their albums while disc three focuses on songs from their singles, b-sides & soundtrack work – there is no discernible drop in quality in terms of the songs or production values on what could be considered the odds and sods disc, just a shift to a more sombre, downbeat mood. They close the album by returning to an old live favourite, the epic ‘My Father, My King’, a suitably triumphant note on which to finish. Central Belters is a perfect example of how these retrospective collections should be done. Compilations of this nature are very often slipshod, hastily thrown together affairs but the care lavished on Central Belters is plainly evident. Everything about it reeks of a band that still care passionately about what they do, and that’s something to shout about twenty years on. For newcomers to Mogwai, this collection is a perfect introduction to their music. For fans who may have lapsed somewhere along the way, this fantastic compilation will re-ignite their love affair with one of the most influential bands of the last two decades.